“There just wasn’t much of an appetite for new music in Milwaukee then. But I was confident that if we could get people in the door, we could get get them to keep coming back.” We are just 37 days away from the #StalheimTime Finale at the Pabst Theater on June 1st! Don’t miss this last chance to see a Milwaukee Original with Kevin Stalheim and #presentmusic! Check the link in our profile for more info or to purchase tickets! 14 hours 48 min ago. @wmsemke art & music fundraiser! Listening to a wacky set by @staticchicken 2 weeks 6 days ago. Anyone up for a road trip?? This weekend and next, our incoming co-artistic director David Bloom is conducting Opera Omaha's production of the 1996 dance-opera by Philip Glass, titled "Les Enfants Terribles". The opera is based on the JEAN COCTEAU novel by the same name. Check out the promo video below or visit http://www.operaomaha.org to learn more! To David and all those involved in the production, Toi Toi Toi! 2 weeks 6 days ago. Many of our posters over the years...which concert was your favorite?? #posterwall #presentmusic 3 weeks 1 day ago. Present Music shared a post. congratulations on your world premiere! 3 weeks 6 days ago. The music of Kamran Ince invites—no, begs—comparison, again and again: Brian Eno meets Gershwin, the Turkish John Adams, even Lalo Schifrin minus the filler. And there's certainly not a thing on In White that a lover of Bela Bartok or Astor Piazzola would have difficulty embracing. In the end, each and every flawed comparison boils down to one essential quality: color. 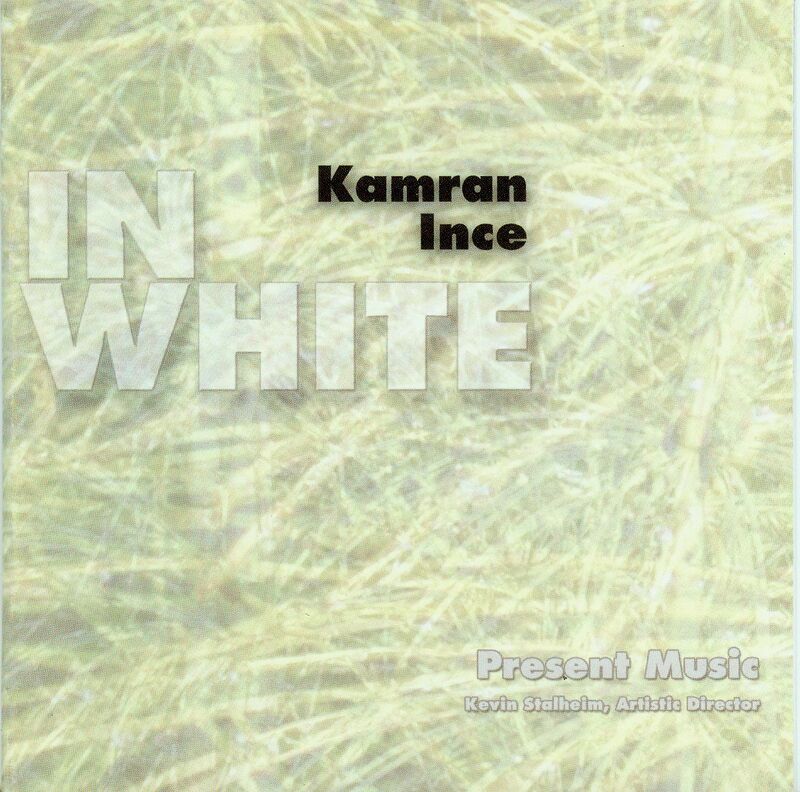 On In White, Kamran Ince does with sound what Walt Disney did with light in Fantasia. Not alone, of course. Ince makes ample use of a team every bit as formidable as the one that enfleshed Disney's vision in the 1930's: Present Music. It comes as no surprise that these forward-looking Milwaukeeans make such spectacular executors of Ince's dreams; they stand in the first ranks of America's most resolute and accomplished champions of New Music, not to mention its most active commissioners of new works. In White is the sort of thing they live for. Nor is it the least bit shocking that Ince's work brings a certain sensuality that has always been implicit in Present Music's adventures to the fore in the most luminous way imaginable. Still, the simple intensity of the spark created by the In White's inspired alliance is sufficient to leave even the most casual listener a bit dazed—and thoroughly delighted. Music to swoon to. The musicians of Present Music are not shy about digging beneath the surface. What is fully palpable, however, is how Ince's music maintains such a contemplative core. ...maintains its calm beneath a surface positively buzzing with rhythmic activity. For years the intrepid Kevin Stalheim and his Milwaukee-based new music ensemble Present Music have championed the music of Turkish-American Kamran Ince, a composer whose often beautiful and always exciting post-minimalist music is shockingly never done in New York City or by any of the major orchestras around the country. The first CD of his music, on the unfortunately now defunct Northeastern label but soon to be re-issued on the A.K. label out of EMI Turkey, was one of the first discs I heard when I arrived at the American Music Center five and a half years ago. It made me realize that as much as I thought I knew about contemporary American music, I certainly did not know enough if his music had evaded my radar. In fact, the disc became something of a catalyst for the second list of radio repertoire suggestions, Another Century List. An orchestral CD came next on the also now defunct Decca/London new music imprint Argo (would somebody re-issue these 2 discs, please?) and then a disc of chamber music on Albany. The most recent disc, this time on the ACF's Innova label, continues the trajectory with five pieces for various forces. Flight Box, scored for forces similar to a jazz big band (saxes, horns) but with no drums and violin, cello, and seven singers added, was composed early in 2001 and has nothing to do with the events of September 11. Rather, Ince's passionate music, which is inspired by feelings triggered from constant global travel between teaching gigs in Memphis and Istambul. I want to be on that flight! The MKG Variations for solo cello is a quiet introspective work inspired by J.S. Bach, the Goldberg Variations rather than the Cello Suites. It also exists in a later version for solo guitar, which has yet to appear on CD. The disc's centerpiece, In White, an extremely lush concerto for violin and chamber ensemble, opens with a melody reminiscent of the middle movement of the Rodrigo Concierto de Aranjuez but gradually travels to more mysterious terrain that sounds like polytonal Michael Nyman crossed with George Crumb before exploding into a full-fledged, tender romanticism. The work is inspired by Christian and Muslim architecture in Asia Minor. In Memoriam 8/17/99 for solo piano is a deeply moving emotional response to the catastrophic earthquake in Marmara, Turkey. Finally, Turquoise is unpredictable and rock-savvy (pun intended perhaps). Scored for the 20th century's ubiquitous "Pierrot" ensemble (flute, clarinet, violin, cello, keyboard and percussion) with added trumpet, here played by Stalheim, it is music that sounds right at home in the sound world of the Bang On A Can All Stars, who should commission him!